This week it’s a photo of a Rose Chafer that i found on a walk near a pond. there were a lot of them i just had to choose the one who was best positioned and most photogenic. Taken with Pentax K50 and Tamron 90mm Macro with some fill-in flash with the in board flash. This entry was posted on June 21, 2015 by Steeve Marcoux. 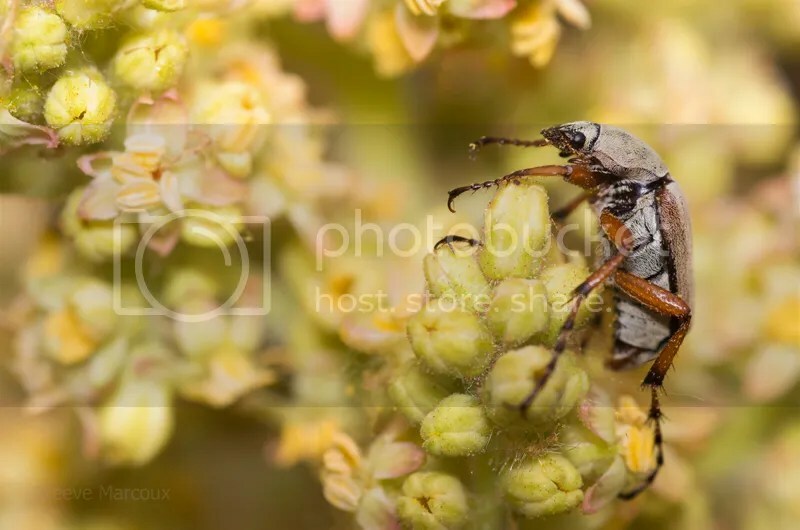 It was filed under Weekly photo and was tagged with pentax k50, photo, rose chafer.